my WIP's, working on to much at the same time.. I've just got My CorelDrawX6 update, so I've started to make some texture. So now I'm searching for some design for the dress. One thing that I am looking for is a Orchid design, stylized but looking like handpainted silk, covering the front of the dress. Would this work on males as well? I have also been trying to get some morphs in the flaps of the dress. But so far I haven't had any luck with that. The one I'm creating is modeled against a female shape, to show off the shape and curves of a female. Shame it's not suited for men, but it's very beautiful! Well I'm piking up again, on my Genesis creations. 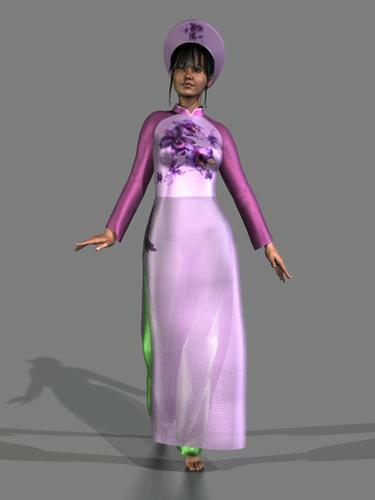 The Ao Dai, was rejected by "the one that has always right", so it was back to the drawing board. The main problem with it, I think is that it looks to stiff. Have to add more wrinkles. 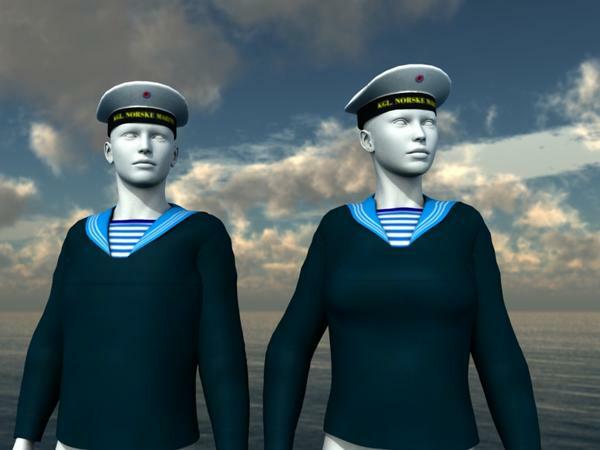 The Norwegian Navy uniform is nearing completion. 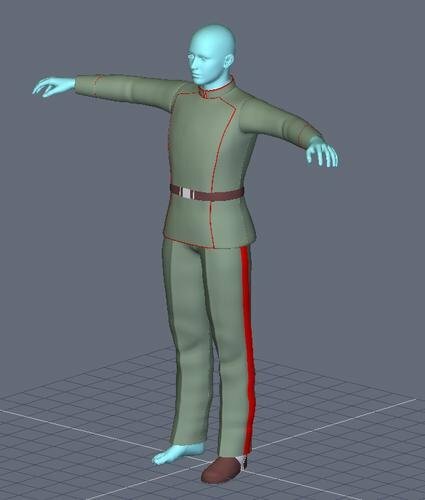 I haven't made any trousers to it, but the trousers from Japanese School Uniforms For Boys by Sickleyield (http://www.daz3d.com/japanese-school-uniforms-for-boys) does fit nicely. Just have to re-texture them to match. I did also rig the uniform with Sickle Rigging and Morphing System. It is a real time saver, with those FBM's built in. That dress is so pretty. 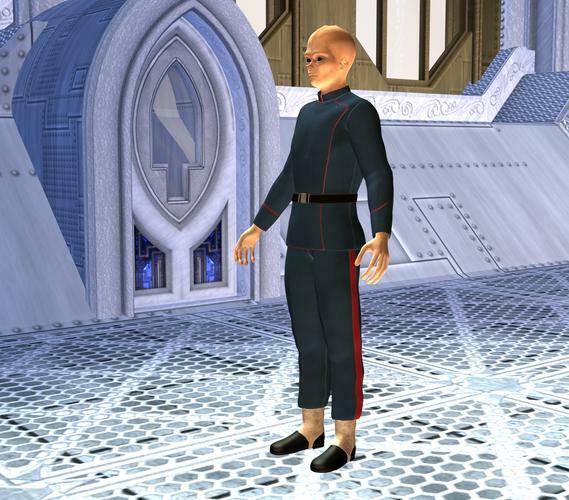 Nice work on the uniform too. I'm having to many WIP's at the moment, so I just have to focus and finish something. So I decided to finish this one. I have done some test-riggings and it seems as it could work. I know they might cause problems when morphing. The main thing to finish up are the boots. Headwear for this.. I have already made a lot... they are at ShareCG. Got it rigged, and it seem to work ok. The texture has some flaws. Did put in a morph in the pants, so one can have the pants in the boots. I will also have a morph so one can remove the belt. I love that Ao Dai dress. Is it available anywhere? Beautiful clothing sets! Can't believe I've been missing this thread. Well done, Varsel. Will be watching your progress and eager for tips and lessons.